In December, mima - Teesside University’s TATE+ gallery – will become the first UK art space to host acclaimed exhibition David Lynch Naming. Originally shown in Los Angeles, this striking piece of work explores how Lynch uses naming in film, photography, drawings, watercolours, painting and prints from 1968 to the present. Probably best known as a television and film director, David Lynch has been interested in the complex relationship between how objects and their names interact since creating the film The Alphabet as a student in the 1960s. This short production will be shown alongside Lynch’s dream-like paintings, water colours and drawings as part of Naming. Lynch’s film and television work includes the iconic serial drama Twin Peaks which, it has been announced, is to return to television screens in 2016 after a 25-year break, and is known for its surreal, disturbing and arresting style – all of these qualities can be seen as part of this fascinating exhibition. 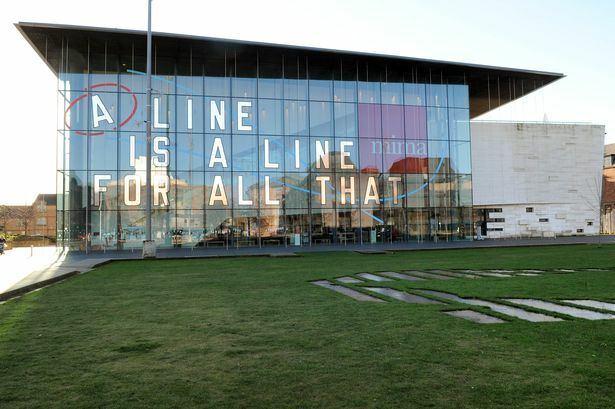 David Lynch Naming will be at mima 12 December 2014 - 26 March 2015. Don’t forget you can also see the fantastic jewellery gallery at mima too. Created in partnership with Teesside University, the exhibition houses an outstanding international collection of contemporary jewellery from Ted Noten, Gijs Bakker and the North East’s own Wendy Ramshaw. More than 200 pieces are on display, making it the most comprehensive collection outside the V&amp;A. There is also a complementary series of events, workshops and talks. Extending the exploration of elaborate jewellery creation, Wendy Ramshaw’s dedicated exhibition of unique jewellery at mima showcases key works from the 1960s onwards. Drawing inspiration from Lewis Carroll’s Alice in Wonderland, Ramshaw’s magical Room of Dreams weaves over 80 items into a fantastical story of enchantment and intrigue. Wendy Ramshaw: Room of Dreams closes on December 4, so make sure you catch it in time. The shop at mima has a range of jewellery for sale this season, along with lots of interesting household pieces and artistically inspired toys and games for children at pocket money prices. Visit vistmima.com for more details. When visiting mima this winter, be sure to take the time to check in with Teesside University’s winter lights festival. Offering warmth and sparkle throughout the dark evenings of November through to January, the campus – and surrounding community venues – will be alive with a mix of events drawing on the themes of light and celebration, darkness and mythology. Decorated to represent the many cultures and traditions within the eclectic University community, the campus itself will welcome all to share in the magic of the season.